Admittedly, I have been writing a book to capture my BRCA experience, allowing it to parallel anyone’s life challenge. Upon mapping out all of the chapters, I named a later one “Not My Daughters”, with the intention of sharing one of the most inner caverns of my BRCA hereditary journey. After remaining completely blank for the last year, I considered combining it with another chapter; perhaps imbedding it toward the end. What is it about facing the fact that BRCA1/2+ may be a legacy that we leave for our children? It hurts my heart in a way where there are no words to describe it. Especially when I revealed my plans for surgery to my young daughters, then 6 & 10, and my ten year old asked worriedly, “Will I have that too?” Ooh, dagger. At the Boston BRCA conference, this topic rumbled like an impending landslide after a young panelist commented that even if she had wanted children, she wouldn’t have them, because she wouldn’t risk passing the BRCA gene mutation onto them. Horrified, as a wave of parental remorse washed over the audience, we respectfully listened, understanding that it was rightfully her perspective. The question and almost debate over how to talk to and grapple with that reality opened the fear gates that our children are impacted by our diagnosis in more ways that we could have ever anticipated. Our children have a 50% chance of inheriting a damaged BRCA gene, yet typically do not get tested until 25 years of age. 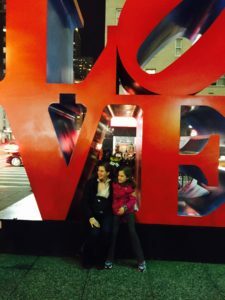 There was general consensus that while some children just worried about the BRCA positive parent, others worried about themselves and their future, like my older daughter. That’s way too overwhelming for any child to wonder, let alone most adults present in that room. One comment of comfort was that our children are going to die of something, someday. It could be Diabetes or Alzheimer’s or any number of conditions or types of accident; essentially, we can’t prevent everything…What?? We, as parents, can’t snowplow our children’s way out of this BRCA snowstorm?!! How have you chosen to bloom through your life challenge? Note: If you have any thoughts about how to talk with children about the BRCA genetic mutation, I would welcome ideas on that hard conversation too. I am hoping that the next presenters of the biannual conference choose “Talking to our children”.